Pro Joe jumped a lovely double clear with Gio in the open novice at Homme House, finishing in 8th place. 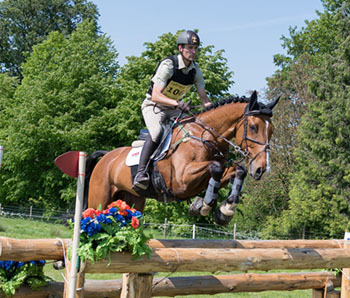 At Hartpury, Gio had both Cosmos Baby and Duke of Champion in the CIC3*, their first runs at the level. Both completed with a single cross country error apiece. Meanwhile Kathryn had No Rush One in the BYEH – a potential star of the future!